The Adler A110 (28″ barrel) fitted with an ICEng +2 extension, bringing capacity back to the 7 shot as originally designed. Complete with a barrel clamp, rail and Cerakoted tube. For some shooters, the factory 5 shot version of the Adler A110 lever-action shotgun does the job. But others have found a need for a larger capacity shotgun. Particularly in primary industries, pest management, hunting or competition such as IPSC. We manufacture and sell online magazine extension kit for the Adler. The kits can increase you capacity by an additional 2-6 shots, depending on the size kit you opt for. They are designed as DIY installations. The ICEng Adler +5 (10 shot) extension tube is aligned with the 28″ barrel, while the shorter +2 tube lines up with the 20″ barrel. 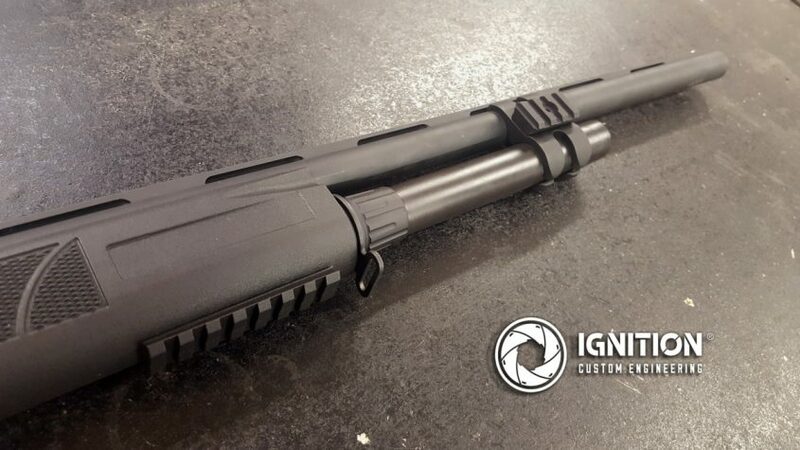 Both kits can be fitted to either the 20″ or 28″ model shotguns. First off, let me ask are you happy to modify the factory magazine tube or would you rather leave it intact? We experimented with single-piece tube designs when the Adler was released, but we found the wall of the tube in single piece styles had to be thinned out too much and was at risk of splitting. We stand by our products with a full lifetime warranty, so that was not an option. The answer was to create a two-piece magazine extension. This keeps the integrity of the extension tubes and gives greater flexibility in changing between magazine capacity sizes quickly and easily. It also gives greater control over the end length so you can tinker until its exactly in line with the end of the barrel. Then go for our standard Extension Kits (listed here on our webstore). Basic power tools and a steady hand are all that’s required (instructions provided). Basically you will cut the end of the magazine tube off and store that end-piece somewhere safe. The modification can be reversed should the shooter wish to return to the original 5 shot capacity simply by screwing back on that end-piece of tube. To change capacity, remove the clamp and swap over the extension piece for a different size one. Simple as that. Then go for the Deluxe Extension Kits. These include a magazine tube that’s already cut to size. All you need to do is unscrew the factory magazine and put it somewhere safe, screw in the pre-cut main tube supplied then attach the extension piece using your magazine nut. You can swap the extension piece for other size extension pieces as above. To go back to factory capacity, unscrew the whole kit and screw back in the mag extension. Voila! Great. I know which style I want. What sizes are there? Our kits can increase the capacity by an extra 2, 3, 5 or 6 shots. The +2 extension creates a really nice weight balance, but the +5 can’t be beat if you’re looking for a few extra rounds while hunting. We also make custom sizes by request (the +3 extension kits were originally a request from quad-loading shooters wanting an 8-round capacity). 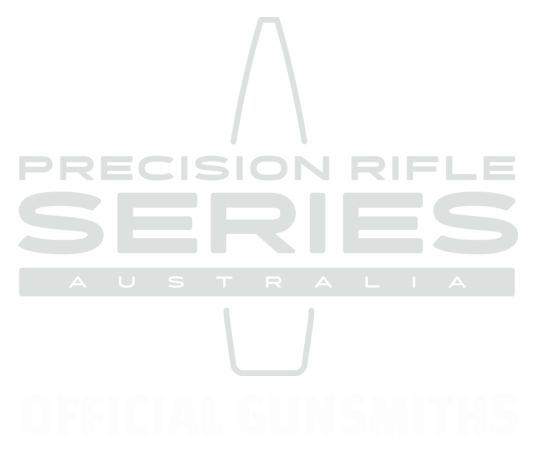 The +6 IPSC kits have been popular sale items too, after successful testing with local IPSC competitors looking to increase capacity while remaining under the competition’s overall gun length rule. The 28″ model lever action Adler A110 shotgun, fitted with an ICEng +2 tube to increase capacity to 7 shots. 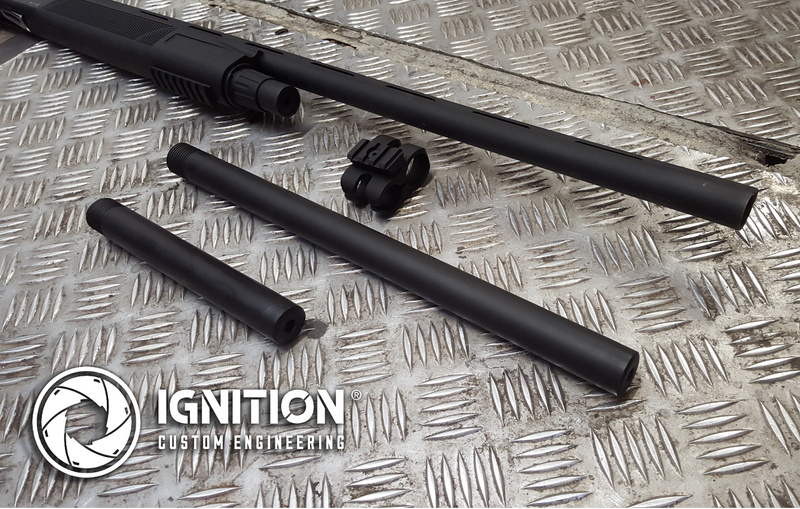 While the standard kits are finished in a hard-wearing black Cerakote, or stainless by request, if you want something that stands out, contact us for a price to finish the tube (or complete firearm) in a different colour. 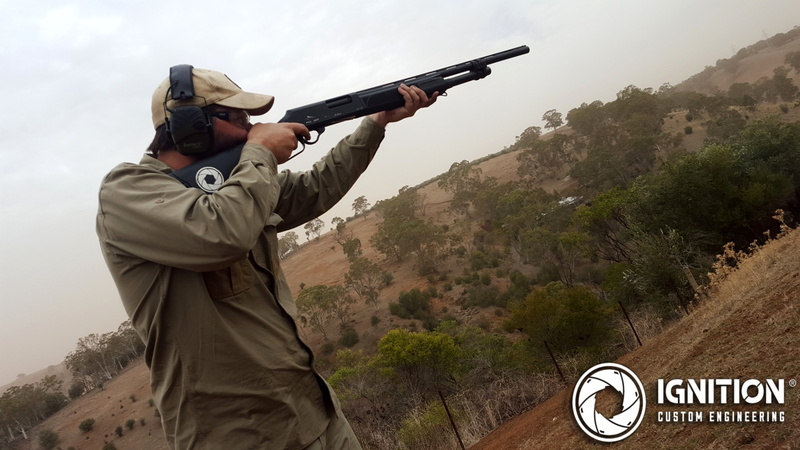 Lever action shotguns have been available in Australia since the late 1800s. Gunsmiths have been modifying them since this time, including class-appropriate capacity changes. Some states may have restrictions on capacity or magazine type. Please confirm with your local firearms authority to confirm your state or territory laws.